Photo challenge: looking forward to seeing your interpretations of “enveloped”. 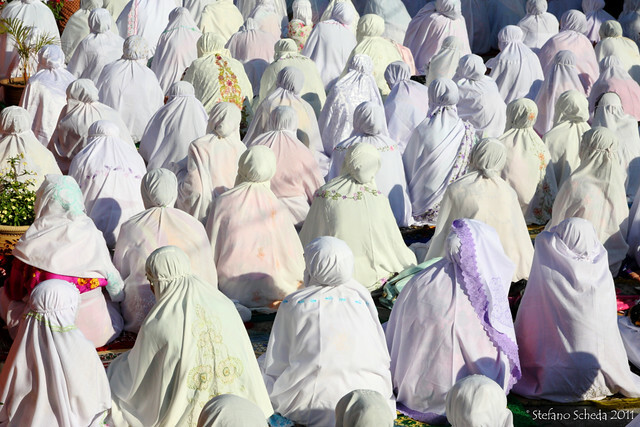 Friday prayer – Semporna, Malaysia. You found the perfect photo Stefano – why am I not surprised?!?! Wonderful capture. A unique take on the challenge, and touching, as it opens the door to continuing to understand each other’s culture and religion. I totally agree, Jane. Thank you. This is terrific for the theme 🙂 Boy, am I glad I wasn’t around for this one….